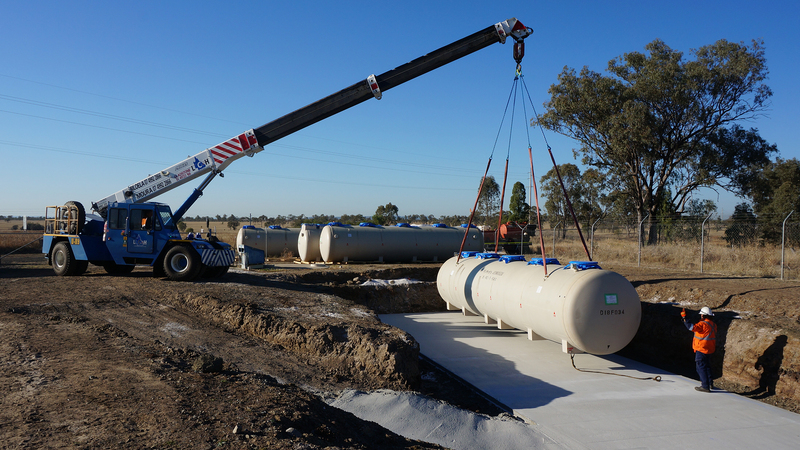 True Water were recently engaged to complete a full Sewage Treatment Plant (STP) replacement at Glencore’s Rolleston Mine Accommodation Village. 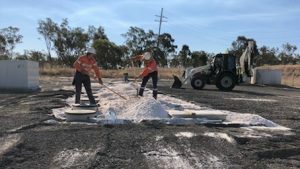 It is located in the southern part of Queensland’s Bowen Basin, approximately 16 kilometres west of the Rolleston Township and 140 kilometres southeast of Emerald. More than 600 staff are currently employed at the mine which extracts coal for the domestic and export markets. 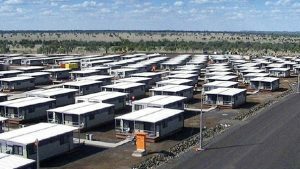 The Accommodation Village provides housing and facilities for the mine staff. The Rolleston mine is located in a remote area far from municipal wastewater treatment infrastructure. An on-site, reliable and high-quality sewage treatment plant is required to keep the mine and its various facilities running smoothly. 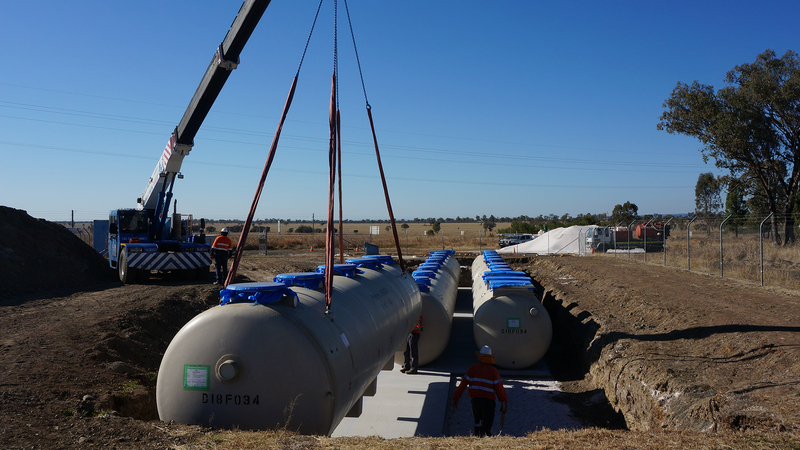 True Water Australia had previously designed, manufactured, installed and commissioned a Kubota HCZ-50 sewage treatment plant to meet the needs of the Administration Complex for the Mine Infrastructure Area (MIA). 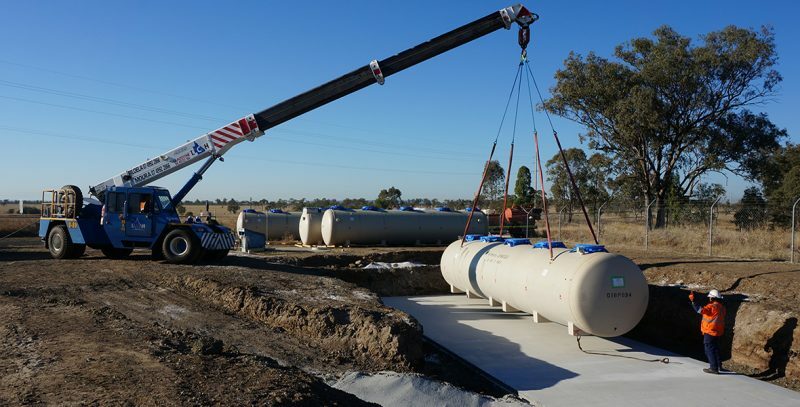 With remote monitoring, onsite training of personnel and a servicing plan, the wastewater treatment system has been performing at a high standard and meeting all QLD Environmental Authority requirements for the site. True Water were engaged to design, install and commission a replacement Sewage Treatment Plant at the Rolleston Accommodation Village when the existing containerised sewage treatment system failed. A swift replacement of the existing system was required as the failed Pureplus Treatment Plant was not operating to specified treatment levels, posing health and environmental risks. The system being replaced was less than two years old. Although it had failed, there were components that were still in operational condition. It was important to retain and utilise as many existing wastewater treatment assets as possible in order to minimise the costs involved in rectification works. An assessment of site infrastructure was undertaken to evaluate the suitability of existing components to integrate into True Water’s Kubota Treatment System. 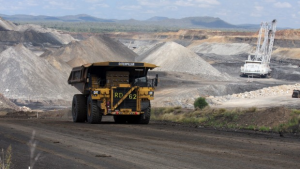 From development of the mine through to today’s operations, Rolleston Open Cut has demonstrated their commitment to compliance with State and National environmental standards. This includes progressive rehabilitation of mined lands. 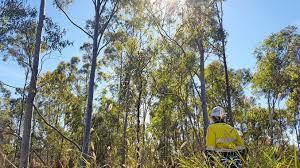 In July 2018, Glencore received an official certification from the Queensland Government after rehabilitating 220 hectares of mined land 140km southeast of Emerald, Queensland, an area around six-and-a-half times the size of Disneyland. Glencore were looking for a STP replacement solution that would achieve quality and budget requirements, while also minimising operational costs throughout the infrastructure life cycle. It was vital that this included operation, maintenance and monitoring. As part of their ongoing commitment to compliance with State and National environmental standards, it was important the solution True Water provided was of the highest quality and reliability. Glencore’s process included engagement of third party consultants and industry experts to inspect STP’s True Water have in operation in similar applications. 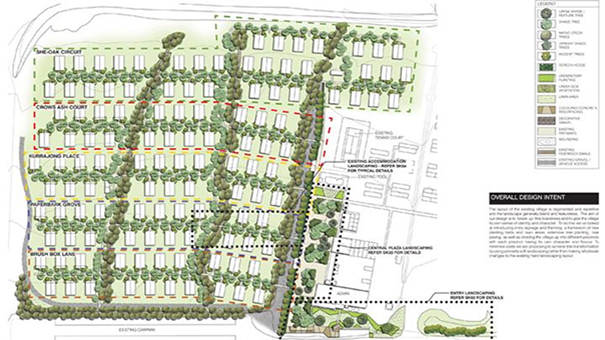 This determined the suitability of the Kubota STP for the Glencore Rolleston site. The primary project scope was to replace a relatively new system, with guaranteed STP reliability and continuity of operation being key considerations. 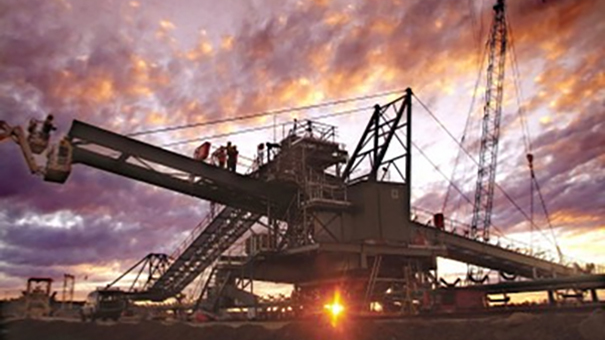 The Rolleston mine has also received government approval to extend its mine life beyond 2040. This would create an average of 84 full-time jobs over 10 years and once completed about 1200 full-time jobs. This could potentially double the requirements of the Accommodation Village, so the Sewage Treatment Plant needed to include the potential to scale up in size to accommodate higher influent flow volumes. True Water designed and constructed a 100m3 Kubota K-HC-T Sewage Treatment Plant with the potential to expand the capacity of the system in stages. The Kubota Treatment Plant provides biological treatment through a Moving Bed Bioreactor. This is contained within a single treatment Train which includes no moving parts or pumps. A future upgrade would see the same system installed alongside the first stage and utilising shared infrastructure throughout (Controllers, Buffer storage tanks and Treated water storage). A key advantage of using the internationally renowned Kubota technology is they are manufactured under ISO and Internationals Standards accreditation for the treatment of wastewater. This provides uniformity and surety. Because the Treatment Plants are premanufactured, True Water can deliver large scale Kubota plants in a short period of time and include a Performance Guarantee. This ensures each treatment plant meets the specific requirements of the site and application while providing security to our client. The design and manufacture of the Kubota treatment plants focus on ease of management with a reduction of servicing frequency and operational needs. Once design was finalised, Kubota undertook manufacture of the K-HC-T Treatment Plant. The Treatment Plant was delivered to site approximately 14 weeks from the acceptance of the True Water/Kubota STP and placement of the order. Once the STP arrived onsite it was a simple process to install the tanks, make final connections and backfill around the system. A process that took only six days, from delivery to operation. The existing failed sand/media filters were removed with a portion of the existing infrastructure retained and re-purposed. By repurposing this infrastructure, True Water were able to significantly reduce the rectification costs. The assets that were proposed to be kept were inspected on site for suitability and structural integrity before being integrated into the new Kubota system. The existing pump well, controller and power supply were able to be retained. Suitable existing concrete tanks were modified and pipes realigned to allow for their integration. True Water is highly experienced in providing replacement solutions for failed or undersized commercial wastewater treatment plants with specific environmental considerations. We recently completed two system replacements on World Heritage listed Fraser Island as part of our wastewater treatment plant contract with the Queensland Government National Parks. 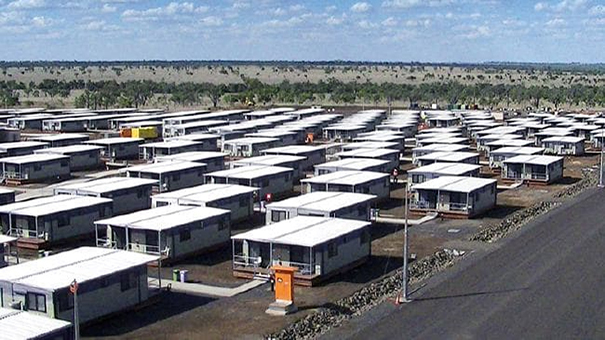 True Water chose a Kubota system for the Glencore Rolleston Accommodation Village that would provide efficient and cost-effective sewage treatment. The STP produces a high quality of treated water and a high level of nutrient reduction, ensuring exceptional environmental outcomes. During the design and planning phases, all parties took part in a high level of communication to ensure that project timelines were met and continuity of service was guaranteed. The professionalism and organisation within the Glencore and True Water teams ensured the project was delivered on time and on budget.